There were a few things I needed from Sephora, and a few things I just really wanted. My pencil sharpener had fallen apart, so I needed to replace it; and I was nearly out of skin toner – which, to me, is essential. It was also time to finally, finally buy and use a blow dryer. I’ve never owned one before! I used to just let my hair air-dry and then use my ghd styler afterwards to smooth it down and create waves. 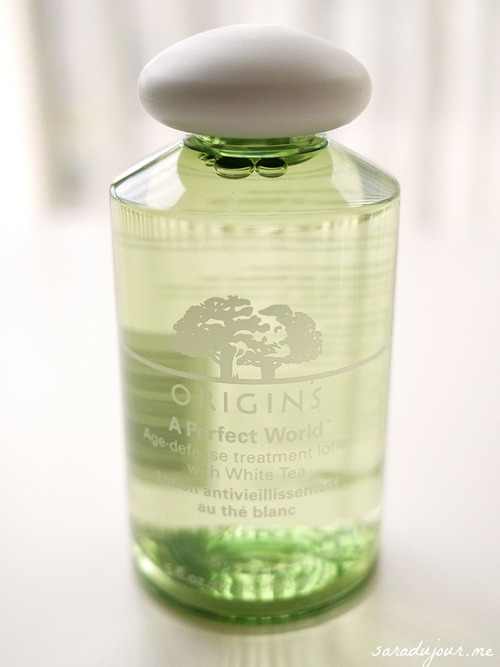 If you’ve read My Nightly Skincare Routine post, you’ll know that I typically use Origins’ United State Balancing Tonic, rather than this one. It’s nice, and certainly feels more hydrating than United State does, but I think I’m going to switch back to that once I use this up. It gave my skin a fresher, cleaner feeling than this one does, and I loved the tingling, cooling sensation it had too. Another switch-up that happened in this haul is the change in Urban Decay Makeup Setting Spray. 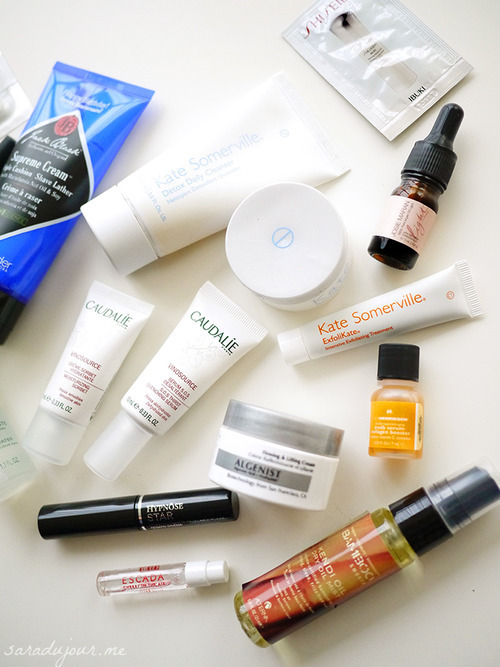 Since my skin type is normal-dry (apart from my t-zone, which gets oily – but only when I’m wearing makeup!) 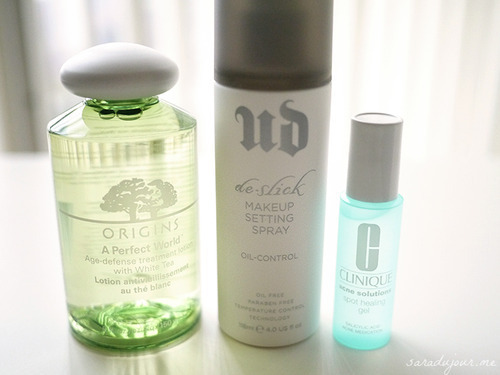 I previously used their “Chill” formula, which is made for drier or combination skin like mine. While it did a great job keeping my makeup in place for hours, I did notice that when I used it, my nose got even shiner a few hours later. So I decided to change it up and try De-Slick, which is made for oily skin types. I spray it on my fresh face before any makeup, and also over top of everything when my makeup is done. So far, it really has helped control the shine on my t-zone! I think this is partially hormonal, and partially because I eat junk food sometimes and almost never get enough sleep. I’m doing several things to try to prevent my skin from getting angry at me, including sleeping with my hair up (to prevent the oils from touching my face), drinking more water, cleansing my skin more thoroughly, and washing my pillowcase weekly. 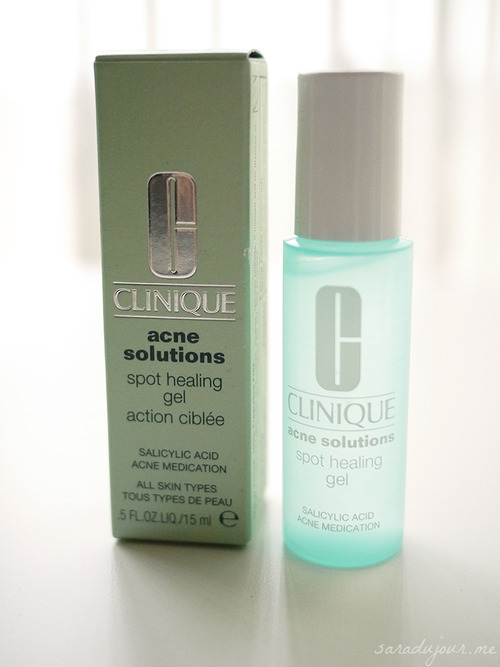 I thought it wouldn’t hurt to also try a treatment specifically designed to help prevent and heal breakouts. I did a TON of research, and this one seemed to be one of the top rated/most loved ones at Sephora. Created by Clinique, it’s a fast-drying spot-healing gel with salicylic acid that you apply directly to your blemishes which helps to reduce their redness, irritation, and size. The directions say you can wear it under or over makeup, but the way I use it is to put it on spots on my clean face right before bed, let it do its thing overnight, then rinse off everything in the morning and apply my makeup as usual. I haven’t used it long, so I can’t tell you whether or not it works yet, but it does sting quite badly for a second when you first apply it. (Not a big deal if it helps the spot go away quicker, though!) I was worried that it would dry out my skin considerably, but so far it seems to be okay. I hope it works! 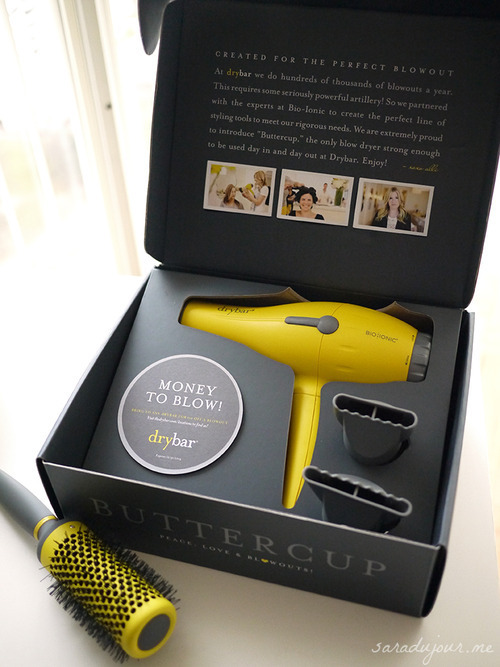 And last but not least, the major purchase of this haul: the blow dryer. Since this is something I hope to not have to repurchase for a long while, I wanted to buy a good quality one that wouldn’t damage my hair more than necessary. 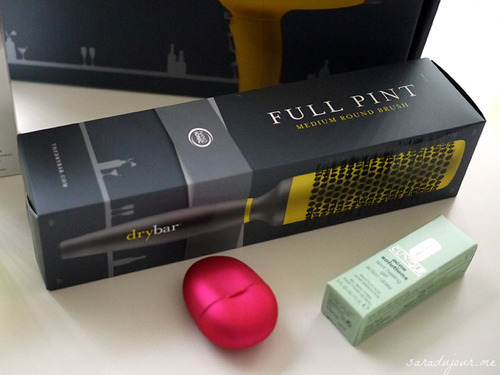 After lots of review-reading and research, I settled on the Drybar Buttercup, which comes with two detachable flat nozzles and a $10 gift voucher you can use at the Drybar salon in New York. It has an ultrapowerful motor to cut down on your hair drying time, and conditioning nano beads to seal cuticles and leave your hair looking silky, smooth, frizz-free. The NanoIonic minerals hydrate and condition hair while the negative ions naturally cleanse and freshen. Big claims, and I hope they’re true. I’ve only used it twice so far, and having nothing to compare it to, it’s hard for me to judge just how good a blow dryer is. Plus I’m still trying to get the hang of how to blow-dry hair well, having no experience with it. Once I get it down to a science I can post a tutorial, if you guys are interested. I knew I needed a round bristle brush to go with the blow dryer, in order to get the type of big, loose curls I wanted. 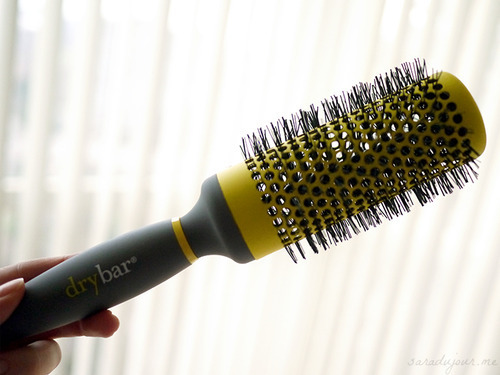 The matching Drybar one was pricey, but has a ceramic barrel which promised to heat up and act similar to hot rollers, while being gentle on the hair and scalp – so that’s the one I picked. Along with my online Sephora order, I also got a shitload (a very real metric unit of measurement) of free samples. 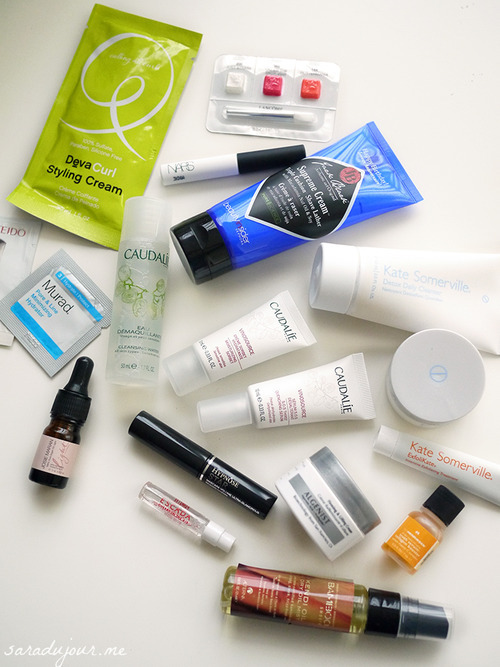 Kate Somerville skincare products, the NARS eye primer, the Caudalie skincare range, Murad moisturizer, Shiseido Ibuki, makeup and perfume samplers from Lancôme and Escada, hair serums, gels, and styling products, and a mini-size of Josie Maran Pure Light Argan Oil.